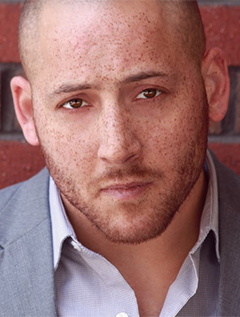 Kevin Hines is an award-winning international speaker, author, and mental health advocate. Kevin has been featured in the critically acclaimed film The Bridge, on Larry King Live, 20/20, Anderson Cooper 360, Good Morning America, and Ireland's famed Tonight with Vincent Browne. He has been featured in hundreds of radio, film, and television media outlets. Kevin has written countless articles about suicide awareness/prevention and The Art of Living Mentally Well. His articles have appeared in the San Francisco Medical Magazine, the Santa Barbara Independent, New Voices at Bay, the National Council Magazine, the San Francisco Chronicle, and Advancements in Psychiatric Treatment, as well as many others. He was most recently honored as a Lifetime Achievement Award Winner by The National Council for Community Behavioral Health.